A typical Victorian house, with high ceiling rooms all off one side of the long hall. Chapel House has been tastefully restored using traditional materials, heritage fittings and colours. Polished baltic floorboards with oriental rugs complement the overall ambience. Private and secure, the property consists of two bedrooms, with two queen bed, lounge, and kitchen with ample room to dine in, bathroom with quality fittings and a second separate toilet. Including off-street parking for 2 cars, and private shaded courtyard with an outside dining table. The cottage is suitable for short over night stays and also for weekly or monthly extended stays. Hop on the FREE CONNECTOR BUS every 15 minutes between 8am- 6pm 7 days a week, which takes you between all ports of interest in the city (one complete circuit takes approx 1 ¼ hours) with frequent stops to all the attractions including the Central Market the oldest and most vibrant market in Australia, The South Australian Art Gallery and Museum, the fabulous Adelaide Cricket Oval and take a behind the scenes tour of the hand operated Score Board. Specialist shops including best range of hairdressers in Adelaide. North Adelaide is blessed with the widest and best selection of restaurants and cafes in Adelaide. From the top award winning silver service eateries, 10 restored hotels, many ethnic restaurants and a proliferation of casual well designed cafes all featuring personalised service! Our staff are familiar with all of these options and their proprieters and are happy to help you with your selection! North Adelaide is the home of sophisticated dining, with themes, be it sommeliers, wood fired pizzas, cook your own steak, bars with tons of ambience, Thai, Chinese and Vietnamese, the home of the 24hour bakery, the O'Connell Street specialty - the A.B, you name it - North Adelaide has it! A number of our guests reasons to stay in North Adelaide is related to the areas abundance of restaurants, cafes and hotel nightlife! Chapel Cottage is decorated with the style and flair the Twiss's have become known for, and features memorabilia and antique and pine furnishings. Laura Ashley freizes grace the walls in the lounge and bedrooms; the windows dressed with classic Austrian curtains. Other touches include a merry widow lounge suite, an original cast iron fireplace and a very rare collection of old Aboriginal artifacts as the centre-piece in the long hallway. The slate and brick private courtyard with its outdoor table and chairs, accessible from the kitchen dining room through French doors is great for entertaining and al fresco dining Chapel House is incredibly central to everything, and night hawks will be especially at home, with all-night cafes, restaurants and night life just around the corner. 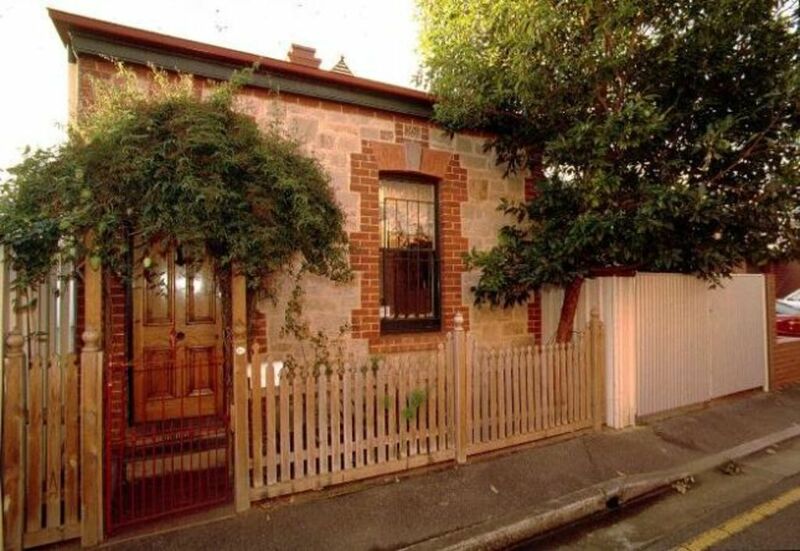 The house is also a comfortable and pleasant walk to the city centre through Adelaide's popular parklands. Metres from the Adelaide Connector Bus stop featuring the world's first Solar Bus, 'Tindo' operating daily from 8AM to 6PM.